This isn’t Dell’s newest laptop. In fact, the heavy discounts currently being offered on its original price suggest it might be on the way out. 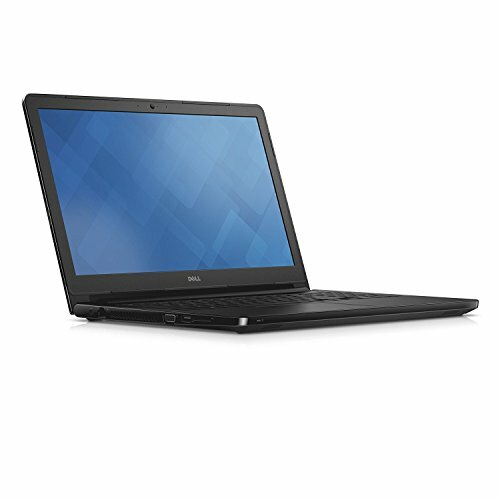 Read our Dell Vostro 3568 Review. 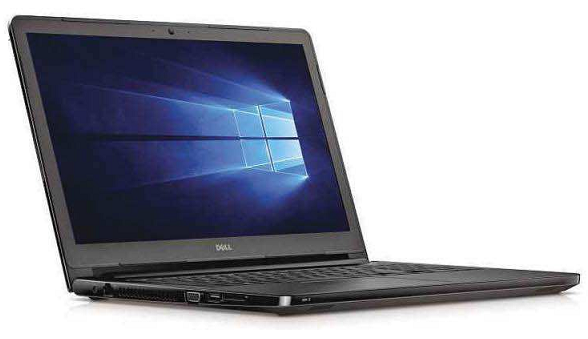 It’s worth a look before it goes, though, because it’s not often these days you can find a full-size 15.6in laptop from a major brand, with a proper Intel Core processor and a DVD drive, for less than 500 quid. This configuration works out is not even the cheapest in the range. That seems remarkable value for the sleek black slab in the photos on the website, which is why you shouldn’t always trust photos on websites. In the flesh, this is the Dell that time forgot, its inch-thick chassis (see image below) festooned with ports and grilles. While the company’s latest XPS laptops feature ‘Infinity Edge’ screens that almost fill the casing, the Vostro 15 is even bigger than its big screen would imply, and not only does it weigh more than two kilos (4 1/2 lb) but it comes with a bulky power supply that adds another 290g (10oz). The battery lasted us barely seven hours, which isn’t great. In fairness, the Vostro’s styling has some modern touches and its size brings some benefits. There’s room for a good full-size keyboard, with numeric keypad, and a large multi-touch trackpad, making this a practical laptop for desk work. Our model came with an Intel i3-7100U processor, from just above the bottom of Intel’s recently superseded seventh- generation range, as well as a 128GB SSD. If you can put up with its limited storage capacity, the SSD helps to avoid delays in transferring data from drive to memory that could make the i3 feel even slower. And to be fair it’s noticeably better than the Pentium, Celeron and Atom chips sometimes found in even cheaper laptops. If you really don’t need to do anything fancier than word processing, web browsing and watching DVDs, and don’t mind a bit of waiting around when you switch between tasks, you could save £ by going for the even older and slower i3-6006U processor, which comes with a 500GB hard drive, that slows things down even more. In contrast, gets you an i5-7200u, bringing you up towards mid-range performance. This pricier configuration comes with a 1TB hard drive, not an SSD, and still has only 4GB of memory. Sadly, Dell’s Customise options provide no other alternatives. Regular readers will know that the first thing to consider when offered a cheap laptop is the quality of the screen. Sadly, while almost every 15.6in screen we’ve seen for a couple of years now had 1920 x 1080-pixel Full HD resolution, and pricier ones up to four times more, the Vostro sticks with 1366×768. We could accept that on a 13.3in or smaller device, but at this size it’s noticeably coarse. True, around seven years ago the likes of the MacBook Pro were still making do with this many dots on their screens, so it’s not a disaster, but if you try to fit two documents or web pages side by side, you may need to zoom in to read the text clearly. Brightness is limited, colour accuracy isn’t even worth talking about, and narrow viewing angles mean you’ll need to position the screen carefully to see anything much at all. With Full HD, an i5-7200U chip, 8GB of memory and 256GB SSD, this business-like rival justifies its higher price.